iPAQ Plastic Front Case is a replacement part for the HP iPAQ 4100 range. This original manufacturer spare part includes the power, four quick launch buttons and the main joy pad. The black plastic SD card socket surround is also included. If you have dropped or damaged the outer front case on your unit this is the perfect replacement iPAQ case part to bring your unit back to pristine condition. 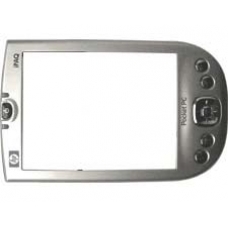 This iPAQ repair service involves the complete replacement of the front case assembly. If you have dropped your iPAQ and..